Latest update : 20 February 2016. The last five books published with the label of BANDUNG SPIRIT BOOK SERIES are the followings. If you wish to have a copy of any of the books, please write to the SECRETARIAT. 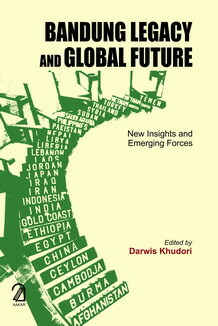 Darwis Khudori, BANDUNG LEGACY AND GLOBAL FUTURE : New Insights and Emerging Forces, New Delhi, Aakar Book, 2018, 16cm x 23.5cm, 304p. 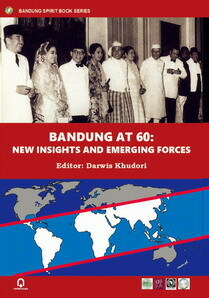 ISBN 978-93-5002-549-9 (Pb) Updated edition of BANDUNG AT 60 completed with Preface, New Introduction, Bandung+60 Declaration, Excerpts from the 1955, 2005 and 2015 Bandung Conference Declarations. Published by AAKAR BOOKS Delhi, India. A Threat or a Chance for Peace, Security and Development among the Nations? 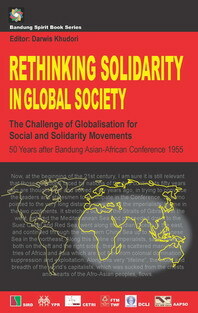 Following the 55 BANDUNG 55 SUMMIT held in Indonesia in 2010, a series of books is in the course of publication. They reflect the sub-themes of the conferences that are Culture, Ecology, Economy, Politics and Religion. The second of the series deals with religious issues and has been published on June 2013. Challenges and Responses in Africa and Asia - With a Comparative View from Europe - 55 Years after the Bandung Asian-African Conference 1955. 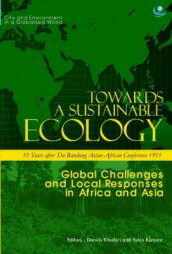 Publisher: CSSCS (Centre for South-South Cooperation Studies), Brawijaya University, Malang, East Java, Indonesia. 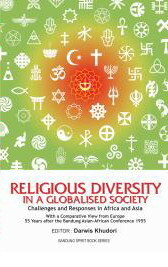 Co-publishers: AL QALAM INSTITUTE, Ateneo de Davao University, Davao, Mindanao, the Philippines; GRIC (Group of Research on Identity and Culture), University of Le Havre, France; ILDES (Lebanese Institute for Economic and Social Development), Beirut, Lebanon; SWIR (Centre for World Christianity and Interreligious Studies), Radboud University Nijmegen, the Netherlands.